캐나다와 미국은 공통적으로 선별적인 조세/이전 프로그램 도입을 시도하였지만 정책변동의 과정과 정책의 내용은 일정한 차이를 보여주었다. 미국의 경우에는 근로 독려 전략의 차원에서 근로를 조건으로 과세소득이 없는 사람들에 과세면제, 저소득자에게 적은 급여 제공, 고소득자에게 많은 급여를 제공하는 방식으로 설계되었다. 반면에 캐나다의 경우 미국과 달리 비근로자를 포함한 빈곤가구를 대상으로 NIT/GI 프로그램이 저소득자에게 많은 급여를 제공하고, 다른 소득이 증가할수록 급여가 줄어들며 고소득 수준이 되면 급여는 완전히 사라지도록 설계되었다. 캐나다의 사회이전을 위한 NIT식 발전은 미국의 EITC에 비해 보편주의적, 정액급여와 원칙적인 자격조건으로서의 시민권을 강조하는 전후 복지국가의 베버리지 전통에 기반하고 있다. 이러한 차이는 미국에서 불평등이 급격하게 증가한 반면 캐나다에서 불평등이 완화되는 결과를 가져다주었다. NIT/GI 제도의 특징인 근로소득자의 순소득 증가, 조세환수율로 인한 고소득자들의 기초소득 점감과 소멸, 복잡한 각종 공제와 세제혜택 등의 정리와 다양한 현금성 지출의 기초소득으로의 통합, 행정체계의 단순화와 비용절감 효과 등은 한국사회에 적용가능성을 검토해볼만한 가치가 있다. NIT 방식과 급여환수(clawback)를 활용한 기초소득제(GI)는 좌파와 우파의 인내 범주에서 정치적 타협의 가능성을 증가시킬 것이다. Canada and the United States have generally tried to introduce a selective tax/ transfer program, but the process of policy changes and the content of the policies have shown a substantial difference. In the United States, as a way of encouraging work strategy, it was designed to provide tax exemptions for people with no taxable income on the basis of their work, small benefits to people with lower incomes, and high pay for people with higher incomes. Canada, on the contrast, has been shown to provide a large benefit to the poor, non-working households, and as other income level be increased, benefits were designed to decline increasingly in the NIT/GI program. The NIT for social relocation in Canada depends on the Beveridge tradition of the welfare state, emphasizing universal, fixed, and civil rights as a conditions of entitlement compared to the EITC in the United States. These differences resulted in a dramatic increase in inequality in the United States, while mitigation of it in Canada. 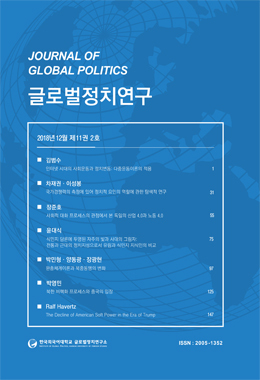 The distinctive features of NIT/GI, that is the increase of worker’s net income, gradual decrease and extinction of high incomer’s basic income by tax back rate, adjustment of complicated deduction and tax benefits, integration to guaranteed income of various cash expenditure, simplification of administrative system, and effects of cost saving were worth reviewing of applicability to the Korean society. The GI approach, using NIT and clawback, will increase the likelihood of political compromise in the patience range over the ideological division of liberals and conservatives. In particular, basic income policy using tax back rate to high incomer can develop to “catch-all policy” to the left and right.